The landlocked country of Luxembourg is formerly known as the Grand Duchy of Luxembourg and is bordered by France, Germany and Belgium in the heart of Europe. This tiny nation is the only Grand Duchy in the world and although the culture of this nation is influenced by its neighbours, people who arrange to stay in a mobile home here will find a large number of enchanting differences. Finding a luxury camping site in Luxembourg is no problem and the leading LUX-camp sites are surrounded by intense natural beauty. What Makes Camping in Luxembourg So Special? Lovers of luxury camping will really be in their element when they book a mobile home in Luxembourg. This enchanting nation is sure to capture the heart of visitors and nature lovers will enjoy hiking through the countryside and taking part in a wide range of other types of outdoor pursuits. 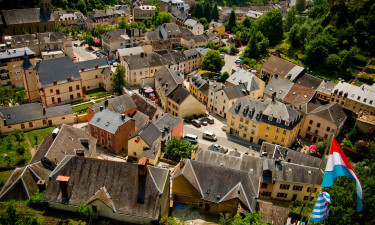 The traditional towns and villages of Luxembourg are postcard perfect and wandering along narrow winding lanes to reach castles and ancient manor houses is another experience that visitors will not want to miss, while relaxing evenings can be spend in a pub listening to traditional music while sipping glasses of locally produced white wine or dark beer. The enchanting region of Larochette is set in the valley of White Ernz is the east of Luxembourg and is famous for its intense natural beauty. People who arrange stay in Larochette will find vast forests right on their doorstep and they will be able to spend enchanting days following well worn hiking trails and walking paths through the countryside to the traditional towns and villages that can be found scattered throughout the area. Because Luxembourg is a landlocked country it does not contain any beaches, although that definitely does not mean that the country is lacking when it comes to natural attractions. 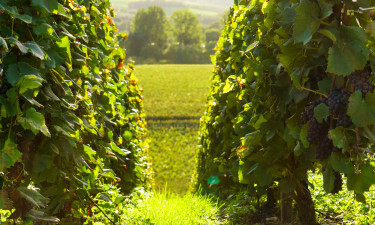 The Moselle Valley is one of the most picturesque parts of the country and exploring this area will be of particular interest to wine lovers as the region is also famous for its vineyards and many are open to the public so that they can sample the locally produced wine. 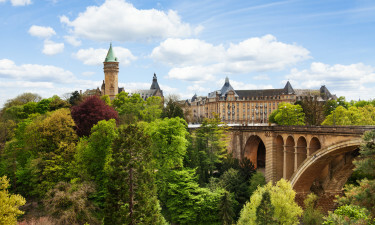 In addition to the country’s natural attractions, Luxembourg also boasts a wealth of historical and cultural attractions that are just waiting to be discovered by visitors. The main city in Luxembourg is also called Luxembourg and this is where the many of the most famous attractions can be found in the old town area such as the 17h century Cathedrale de Notre Dame, Neumünster Abbey and the Place d'Armes. While the small town of Echternach on the eastern border is home to just five thousand people, it contains one of the oldest buildings in this part of the world; namely the old abbey, which was established in 698 by St. Willibrord, the picturesque town of Vianden is home to the enchanting Vianden Castle. 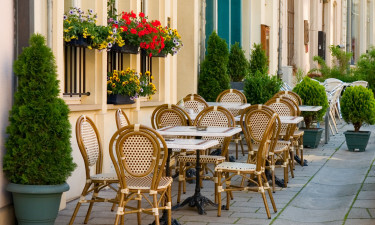 The cuisine of Luxembourg is influenced by the surrounding nations and visitors will find an exciting range of dishing just waiting to be tried. Most camping sites feature an onsite restaurant that serves both local and international dishes, which means that guests will never have to go far in search of something tasty to sink their teeth into. A range of excellent white wines are produced in the Moselle Valley and these make the perfect accompaniment to an evening meal. People who are interested in the unique culture of Luxembourg will be able to get a feel for it at the special folk festivals that are held in towns and villages in the summer months and include traditional song and dance displays. Luxembourg is blessed with a modified continental climate and although winters tend to be rather mild, the months of January and February can be rather cold. The summer month tend to be rather hot in all parts of Luxembourg and this is the perfect time of year for staying in a luxury tend and exploring the forests and valleys of the country.